By default, the ttyS0 is assigned to the Linux console. The UART transmit and receive pins are on PB9 and PB10 espectively, which are pins 8 and 10 on the 'PI BUS' GPIO header. And the bit rate is 115200 bps. Ethernet is enabled by default. Plug in the network cable will automatically connect to the Internet. Wicd is used for manage wireless and wired interface. 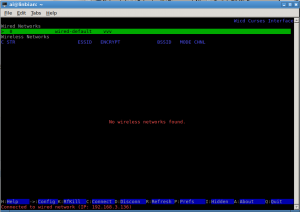 Open Wicd Network Manager from desktop. If the board is properly set up and connected, you should see a Window as follow. 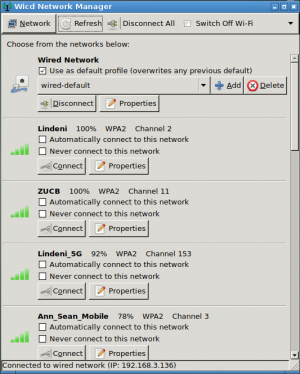 Lindenis V5 without builtin Wi-Fi. Follow these instructions and install a module. 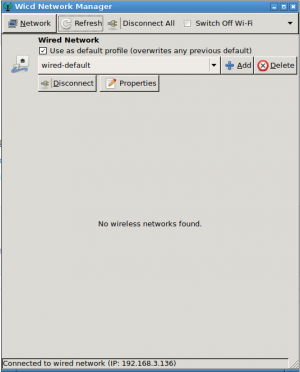 Manage Wi-Fi by Wicd (open Wicd Network Manager from desktop). Click Properties button to set access point password. And then click Connect button to get access. echo "Using device $TTY for initializing Bluetooth"
You can use some open source tools, such as blueman. if you want to support a new sensor, you can add the driver code in this path, and modify the Makefile and Kconfig like imx317. Of course you should config the sys_config.fex first. Download and extract to a local folder (note: Windows only). Upgrade your Linbian OS to 20181016 or later. Please refer to the documents in docs folder for usage. Because of the limitation that there is one display engine module in V5, V5 board can not support dual-display. The default display device of the SDK and the image on FTP server is HDMI(1080p). 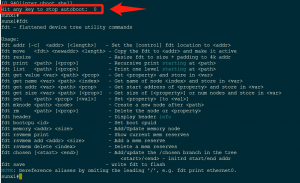 Firstly, you should connect the board's UART0 to computer through a serial-USB cable so that you can send commands to the board through a PC serial software like Putty. Power on and press any key within 1s when you see the message below, then you can enter u-boot command mode. Under this mode, you can modify the kernel devices tree by FDT tools in u-boot. Notice : The CTP driver in the image on FTP server is not the latest version, you should download our SDK and compile the image by yourself to confirm CTP work well.